The software allows you to recover the corrupt database files. Both Primary Database file as well as the Secondary Database file can be recovered. The tool can be used to reset unknown or empty passwords from SQL MDF file. The tool provides to restore both the primary and the secondary database i.e. the MDF and the LDF database files. The tool can be used to recover all types of the master files or default files of the database thus facilitating to restore the master database. The MDF file of any size can be loaded and previewed in the viewer module of the SQL Server Recovery Manager without installing the SQL Server Environment. The database can be processed and exported into SQL Server of verisons : 2000,2008 R2 , 2012 and 2014. Corruption can be damage your tables and all MDF database defectively and after corruption, you are unable to use this file again in future. However, using Microsoft SQL Database Recovery Tool you can easily recover your data from after corruption. Now a days Microsoft SQL Server is one the most appropriate and famous tool for database management. SQL statements are used to perform tasks such as update data on a database, or recover data from a database. However, after taking all the precautionary measures, the prospect of corruption is not remover. To deal which Microsoft SQL Server Recovery Software by is the finest option. Microsoft SQL Server Recovery Software: Microsoft SQL Recovery for Microsoft SQL Server is new database recovery software designed specially for Microsoft SQL Server database. advanced technology allows you to effortlessly search your databases with all information and structural elements, and then recover it all in minutes. 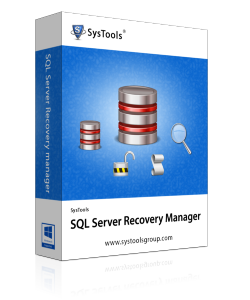 Microsoft SQL Recovery Software is perfect way to recover corrupt SQL Server database. Step 4:Click on CSV option to export the details to the CSV Format. Can I recover database from corrupted SQL file with help of your tool? Yes, you are allowed to perform scanning, recovering and exporting of database from corrupted SQL server backup files. Is this tool compatible with all SQL versions? Yes, it will support all Microsoft SQL server versions without any hassle. Users can export database into SQL versions including 2000, 2008 R2, 2012, as well as the latest versions 2014. Can I decrypt encryption of SQL server scripts from Live Environment? Yes, with this toolkit you can perform decryption of encrypted SQL server script from Live SQL environment. It can be previewed before being exported. Is it possible to analyze the LOG file of a database for forensic purposes? Yes, it can possible to analyze SQL server LOG database transactions. All INSERT DELETE and UPDATE transactions can be carried out on the corresponding database that may be helpful for forensics purpose as well. This toolkit has made task easier for the SQL server administrator. The application provides a big comfort for admins like me, who regularly suffer with database corruption, backup and password related issues. I must say an amazing tool that gives the easiness of fixing the problem without any confusion in process. This tool is very flexible because it provides various facilities for debugging the database file issue and works with different platform. This tool is an all-rounder solution for SQL admins. I appreciate the team work for such a wonderful solution.